Enjoying a bit of the Old South while looking forward to the future! There are many historic hotels and modern conference facilities available for your corporate offsite event needs. 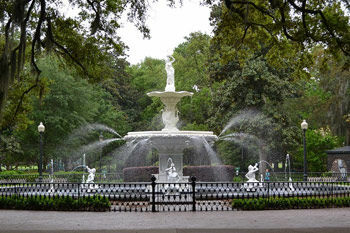 The city is filled with historic homes and hotels which can serve as the backdrop for your next event. 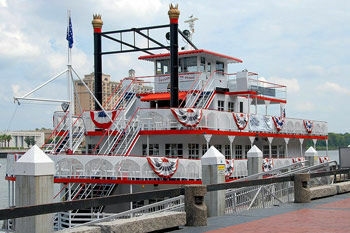 There are a variety of boats that sail providing you with potential dinner cruise entertainment options. Destination Team Building serves the entire Savannah area and would gladly put together a program for your group anywhere. 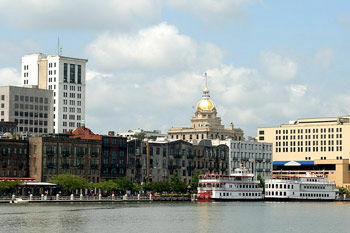 Savannah is known for its Southern hospitality and coastal elegance. The Old South charm draws people in and serves as a great place for people to get together to enjoy a relaxing time while refreshing their batteries for future efforts. Additionally, the nearby beaches provide great locations for outdoor gatherings for bonding of employees. Or simply going to Hilton Head for the golf courses can create and foster a great environment for spreading morale.